The Harmonic Minor Scale guitar is a unusual sounding somewhat disturbing sounding scale to me. It would be great to accompany some kind of dramatic performance. So if you are ready to get your weird on. Let's have a go at this one. 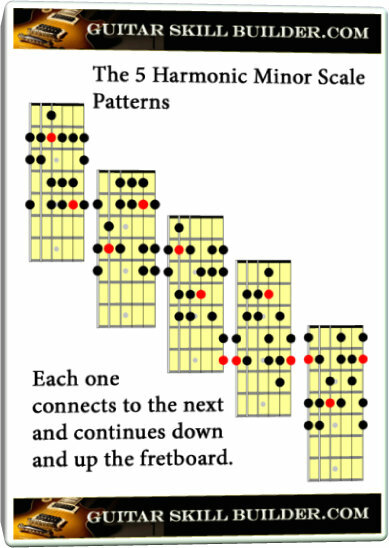 The harmonic minor scale can be used in Classical, Rock, Heavy Metal and Jazz. 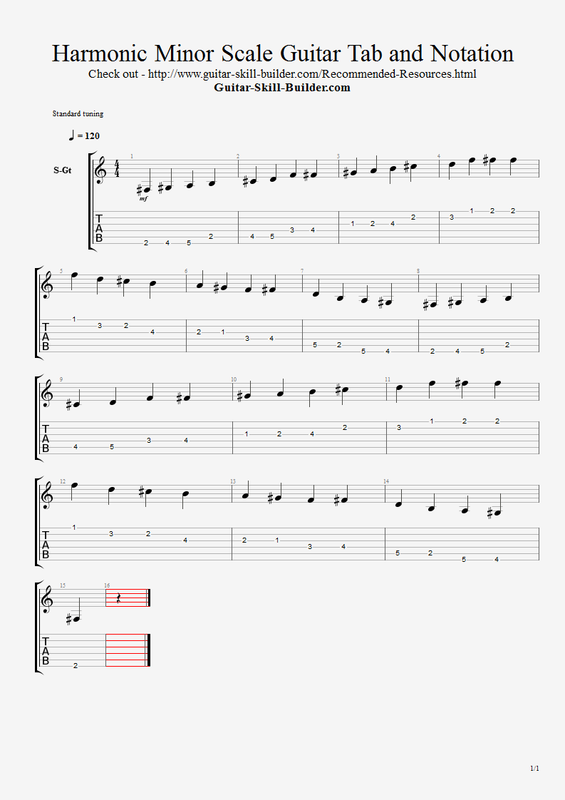 You metronome or drum machine will help you to master this one. Set it up for a slow practice session and bump the speed up a little at a time on each pattern until you can do this in your sleep. Why do I say that? Your creativity on this will start to flow when your subconscious mind get busy figuring out how to use this scale. In a musical way. Search Google for examples and Youtube also. You need to get in it to get it out. Diligence on this will pay off, I promise you. So if you have a taste for the Bizarre, go for it my friend. Classical is the best word for the sound of this scale. Have fun. Click here for a high quality printable PDF file of this scale chart.